Beth passed away with her loving family by her side. Surviving are her husband of 53 years Don, daughter Jill, Son Jim, Jim’s wife Ronna and their daughters Nicole and Isabelle. Beth’s first love was family. Martha & I were so sorry & surprised to hear of Beth’s passing. We want to send our sincere condolences. Our prayers are with you all. We hope the Lord gives you strength to work your way through this difficut time. My deepest sympathy to you and your family on the passing of your mother. My deepest sympathy on the passing of your mother. May her memory be eternal. 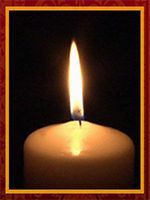 Dear Don, Elaine and I send our deepest sympathy due to the passing of Beth. Our prayers are with you Don and family. Dear Don & Family—So sorry to hear of Beth’s passing. We shall keep you & your family in our prayers & thoughts. Thoughts and prayers are with you and your family at this difficult time. Sorry to hear about your mom’s passing.